to celebrate a plant’s birthday. 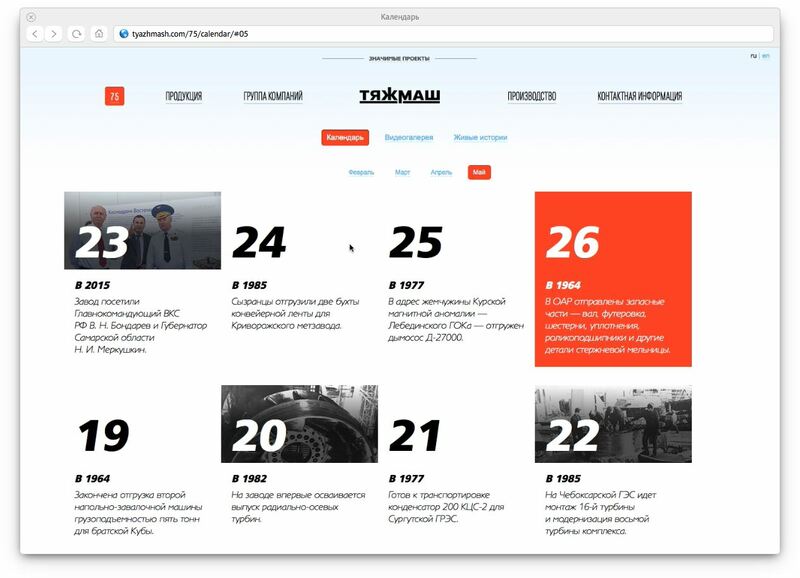 A new section of Tyazhmash’s website was developed at the studio to celebrate the company’s 75th anniversary. 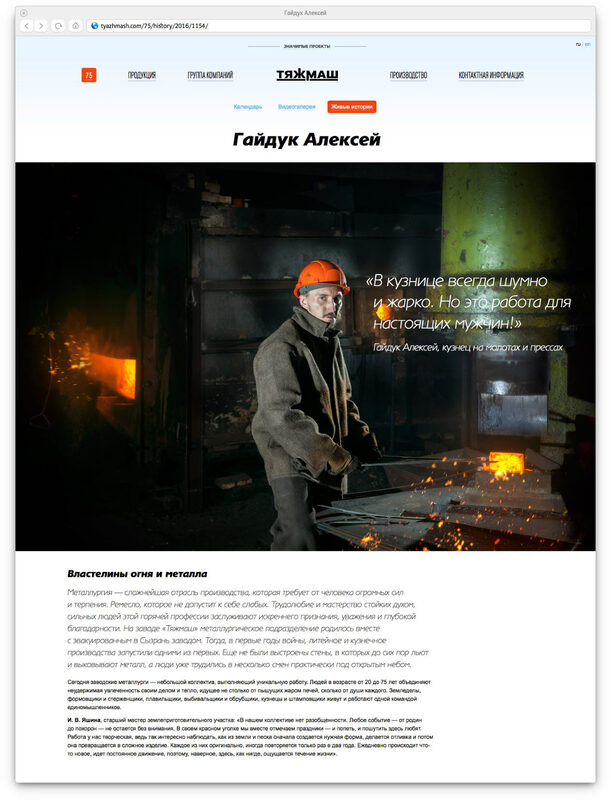 The section includes important dates in the history of the company, employee stories and videos of interesting events from the plant’s life. An illustrated calendar contains information about important events in the history of the enterprise. Selecting a date will take the viewer to the gallery with archive photographs for the chosen month. 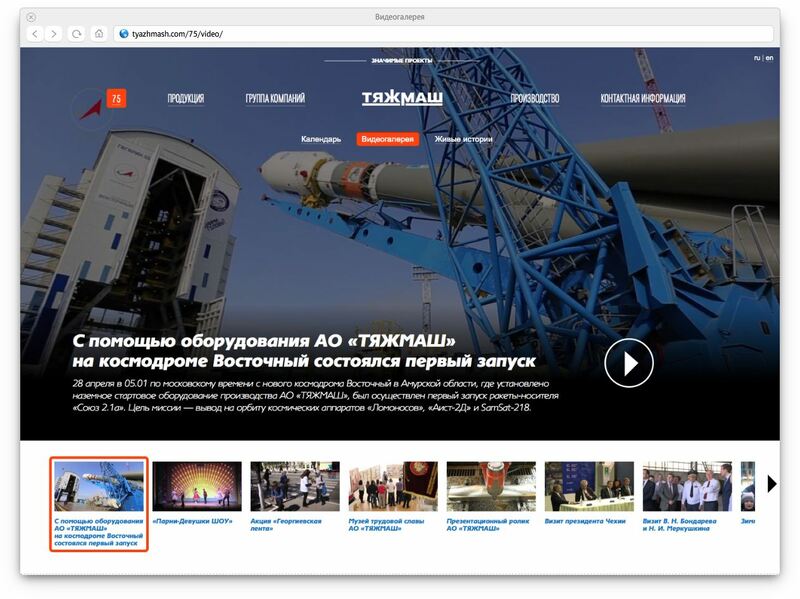 On the Living Stories page the company employees talk about their career path and specifics of their jobs at Tyazhmash. Refreshing delivery of material turns stories of common people into an exciting narrative. Recommendations for taking photographs of employees were developed at the studio. 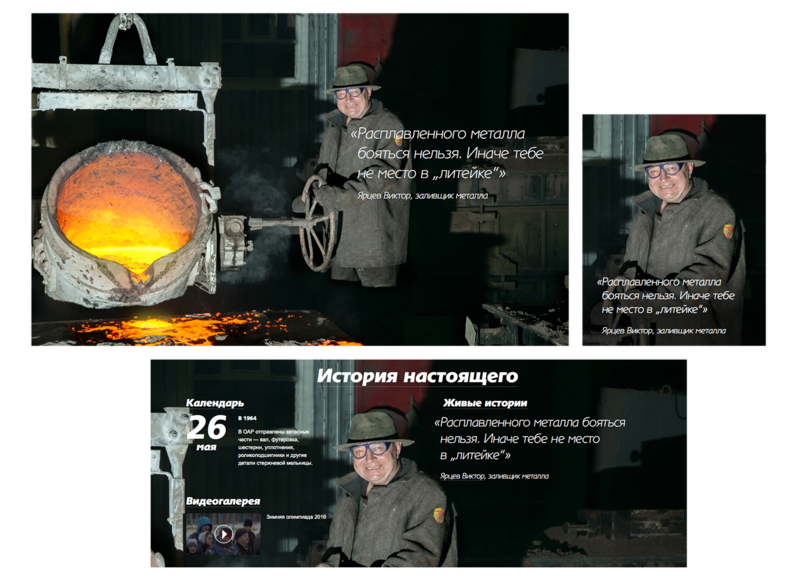 Such shots can be used in a variety of formats: on the banner on the main page, in the anniversary section or on the cover of a story. The Video Gallery tab contains interesting events from the plant’s life. 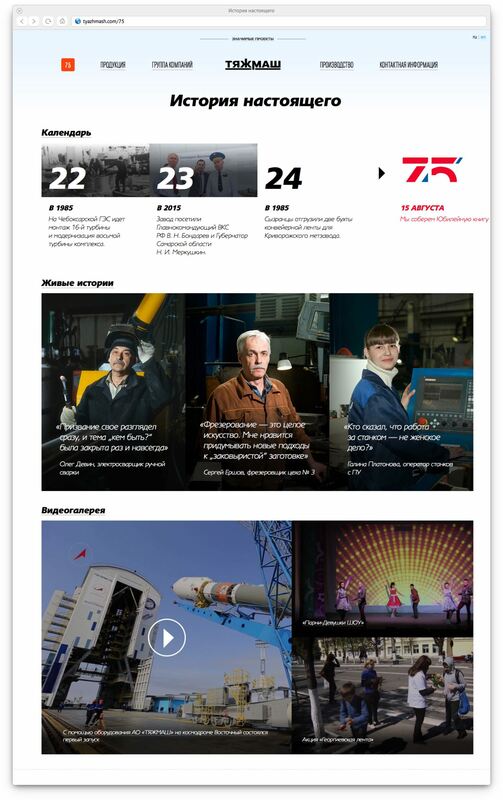 To celebrate the anniversary, the main page of Tyazhmash website was decorated with an illustrated number 75. The animation promotes the planned launch of a book dedicated to the anniversary.